GQA Qualifications are more than pleased to hear that one of our Approved Centres, I.V.S. 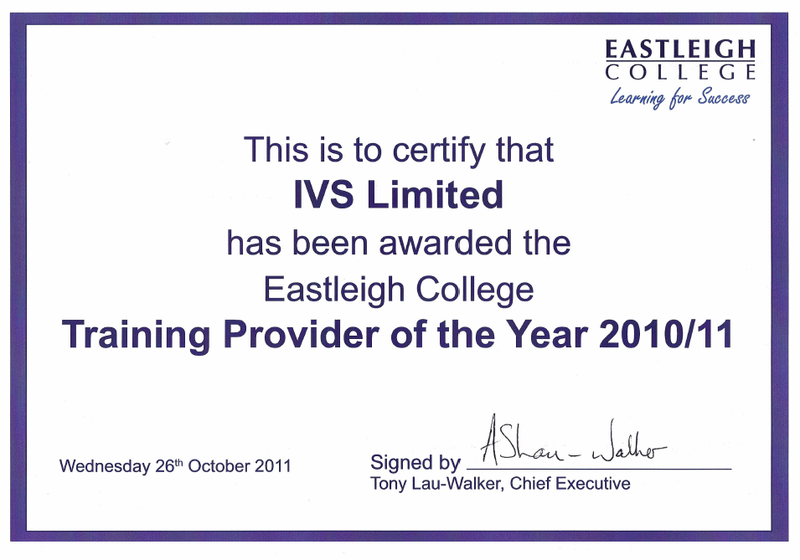 Training and Assessment Ltd, based in Stockport, has been recognised as Training Provider Of The Year , for the year 2010-2011, by their consortium, Eastleigh College based in the South of England. IVS offer a range of GQA qualifications in the glass and related industry. All at GQA would like to pass on their congratulations to Mike, Steve and Nick at IVS.